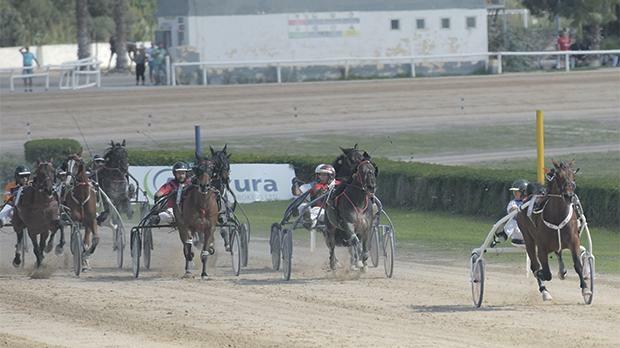 The Johnnie Walker Championship for class Gold trotters got under way during the 42nd meeting of the season which was held at the Marsa Racetrack, yesterday. Six qualifying races were held on a short distance of 2,140 metres with a total of 24 horses progressing to the semi-finals of the competition. Noel Baldacchino finished as the best driver with two wins. Baldacchino chalked up his first win in the opening heat of the day. Leading Swedish trotter Power to Be, the talented driver was unchallenged throughout the whole distance as the Swedish trotter gained its fourth win of the year by four lengths from Ronson Cloc (Carmelo Farrugia) and Mad Image (David Attard). Lover Roc (Jurgen Attard) placed fourth. Reve De L’Odon (Shaun Portelli) ran out of steam in the final straight of the second heat and the French trotter was overtaken by Big Ben (Salvu Cutajar) which secured its third win of the year. Blizzard Ad (Frencu Cassar) placed second ahead of French newcomer Sire Le Roi (Joe Farrugia) and Zalgado Transs R (Nicholas Bonello). In the third class Gold heat, Baldacchino put Qurieux Du Ponchet in front with a lap to go. The French trotter never relinquished its position to notch its first win of the year by a length and a half from newcomer Sire De Janze (Jason Zahra), also of France. Veikko Hornline (Julian Farrugia) and Eklas Superior (David Ellul) followed home in that order. Swedish Starfirefinnfemfel (Dylan Gatt) secured also its first victory of the season in the fourth class Gold heat. This trotter dashed from the outside around 300m from the finishing line and placed first by a length from Saphir Du Lupin (Brian Zammit). Quattro d’Ar (Rodney Gatt) and Energitj (Carl Caruana) also reached the next stage. A keen tussle between three trotters developed in the final straight of the fifth heat. It was Dutch mare Wies Buitezorg (Eric Bezzina) which registered its first win of the season from Solide Du Jayle (Tony Cauchi) and Soprano du Lys (Noel Baldacchino). Digital Motion (Rodney Gatt) finished in fourth place. Sullian Du Mouty (Charles Camilleri) nosed ahead midway through the final straight of the last heat to seal its second triumph of the season. Quio De Nappes (Noel Baldacchino), Voyou Atout (Brian Zammit) and French debutante Spirit Des Logos (Carmelo Agius) were the last trotters to qualify for the semifinal stage. Another meeting at the Marsa Racetrack will be held next Sunday. The first race is scheduled to start at 2pm.